The beginning of their life is always very slow but sturdy. This is cusp of free union. Many civilization have witness their re-union. Their cusps not only comprises complications, scary forwardness, expected of Aries which is always watery Piscean. Full of dream, tones of fantasy and bundle of sensitivity. They are always direct in their approach and very out spoken and that is the reason they are always misunderstood. These individuals openly represents dynamism of direction, emotional complex, which causes them inner disturbance through out their life. It is bound to misunderstand. Yet you start understanding, you start feeling that you have not understood. They always feel hurt, eventually I would say they are always mis-read with their intentions. If you could not understand them it will be wise not to oppose them, because they will always fire back with their intuitive mind and quickness ultimately listen to them before you favour or oppose them. If they are in group they will be highly appreciated with their logics. And generally their effect on people teach them itself about their attitude when they refuse to differ. The reason behind any fault in whatever they do whether it is forgery or lies they will try their level best to stick to their guns. Whenever you will try to analyze their personality they will push you to self an analization, therefore encourage them softly and sweetly to their object then you see automatically there is their goal. In relationship there always the best and faithful partner. They love deeply and passionately they will never show any sort of hollowness in their relation, their intentions are very clear when there in their relation in partnership they are always stable whether they suffer long or short. Eventually I would say they are highly successful in partnership. In Partnership they are always loyal and responsible. Even in family way they are most family oriented people. Individuals born on the Pisces-Aries cusp are direct and to the point. This may lead to admiration or misunderstanding. They often see nothing wrong with anything they do or say, and refuse to compromise for others. They often get their way through sheer persistence. They don’t like being analyzed, by others or by themselves. Unless they can find a way to see themselves objectively, however, they may have difficulties in life. Pisces-Aries must learn patience and social skills to succeed. If they can learn to rein in their impulses and think before they act, they will do better. They may have difficulty showing their true selves to others, which is a shame. They can be very thoughtful and be very talented. Pisces-Aries knows what they want, and they want it now. They may feel the world revolves around them, and when it doesn’t, it may upset them a bit. They may be interested in dreams. Pisces-Aries likes to play hard. They appreciate challenges of all kinds, and it helps them release stress. They usually have artistic abilities. They can be compassionate, energetic and courageous. They can help others reach their full potential. The Cusp of Rebirth is known to be practical, sensual, traditional, nurturing, dependent, talented, artistic, shy, assertive, unique, helpful, idealistic, brave, thoughtful, proud, romantic, compassionate, flamboyant, imaginative and caring. They can also be aloof, pessimistic, touchy, moody, secretive, impatient, stubborn and mean. Pisces-Aries has the potential for great brain power when all is working well together. They can start a project and complete it on time and with success. They are kind and enthusiastic. They make fascinating friends that will always be there to help you move. They are loyal to the end. They may be talented at healing and comforting those in need. They are tactful and insightful. They may have talents in clairvoyance or clairaudience. They make warm companions and they will do their best to help anyone they come across. They learn well through the mistakes of others, so they can avoid making the same mistakes. They are not overly passionate in romance, but they make sure they are choosing the right person before they commit themselves forever. Those born on the Pisces-Aries cusp can be very emotional, idealistic and creative. When the two signs are balanced, Aries provides the energy to see Pisces’ visions to fruition. 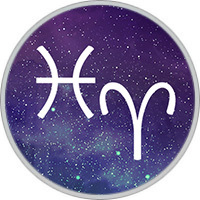 In turn, Pisces dampens Aries’ impulsiveness so they can think things through more clearly before acting. They may be fond of adventure, but they may shy away from higher learning or responsibility at times. Their strength is bluntness, patient, intuition and perception. Their weaknesses are restlessness, sometimes unrealistic and outspoken, that is why they are always misunderstood. Keep cool on important decisions, try your level best to be socialize and work in partnership. Look for substitute and curb your mood to togetherness. Think of the consequences before you open your mouth. Weigh your words and know yourself better.